Vitiligo is a condition in which your skin loses melanin, the pigment that determines the color of your skin, hair and eyes. Vitiligo occurs when the cells that produce melanin die or no longer form melanin, causing slowly enlarging white patches of irregular shapes to appear on your skin. Vitiligo affects all races, but may be more noticeable in people with darker skin. Vitiligo usually starts as small areas of pigment loss that spread with time. There is no cure for vitiligo. The goal of treatment is to stop or slow the progression of pigment loss and, if you desire, attempt to return some color to your skin. 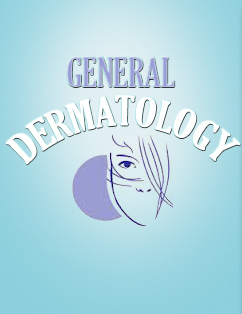 Vitiligo can cause minor changes or extensive changes in the skin. In some people, it may be hardly noticeable, while in others it is obvious. In dark-skinned people the vitiligo patches are obvious since they contrast with normal skin. Light-skinned people may have fewer cosmetic concerns, but patches without pigment can become obvious in the summer because unaffected skin tans but vitiligo skin does not tan. Vitiligo occurs in about 1 percent to 2 percent of the population. Approximately 30 percent of people with vitiligo have a family history of the condition. About half of people with vitiligo start showing symptoms before age 20. People with vitiligo have an increased risk of developing certain diseases, such as hypothyroidism (an underactive thyroid), hyperthyroidism (an overactive thyroid), type 1 diabetes, Addison's disease (a disease that causes a decrease in the function of the adrenal gland) and pernicious anemia (vitamin B12 deficiency). Also, people with these conditions have an increased risk of developing vitiligo. These medical conditions are all problems that involve the immune system attacking cells in the body. Friday : 4 - 6 p.m.